He might be skipping One-Day Internationals with regularity, but Sachin Tendulkar says he does not plan to quit the format altogether just yet and will continue as long as he enjoys the game. Tendulkar, who has played just two ODI series since last year's World Cup, opted out of the tour of Sri Lanka later this month, fuelling speculation about his future in the format. But the 39-year-old star batsman insisted that he rarely gets affected by what is speculated about him. "It's not what XYZ think; it's what I feel, and I feel as long as I am enjoying, and I feel like being part of it, I'll continue [playing ODIs]," he told CNN-IBN. "I felt I shouldn't be part of the Twenty20 squad in 2007 and I had been asked [to stay on], but I felt I should not be part of the Twenty 20 squad because the team did well. When I get that feeling in One-day cricket, maybe, I would take that decision," he said. 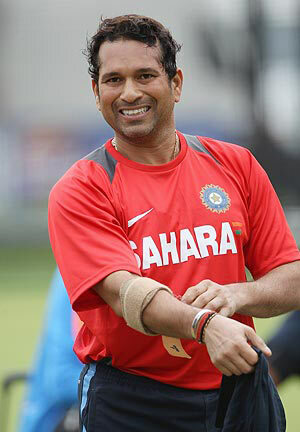 Tendulkar said he decided to opt out of Sri Lanka tour as he wanted to spend time with his children. "I just wanted to spend time with my family, as simple as that. I spoke to the BCCI and requested them. To be able to spend time with my children is also important. "Because once we go back they will go to their schools then you won't get quality time which any family man expects from his family and that is something which will keep me going for next 10 months," he said. On the persistent questions about his retirement from cricket given that he has been around for over 20 years, Tendulkar said, "I think it's been going on since 2006. It's been six years now and I am enjoying cricket and I'll continue enjoying, because as long as I am passionate about cricket you know it makes sense. "You know if it is an individual sport you have various things to think of, if you are not in right frame of mind you know it doesn't affect your team, you are individual there but being part of team sport you have got to be absolutely on top of your game and especially when you represent your country then all these things are extremely important. "At this moment, I don't want to entertain anything else. All I can is say that I am looking forward to the season," he said. 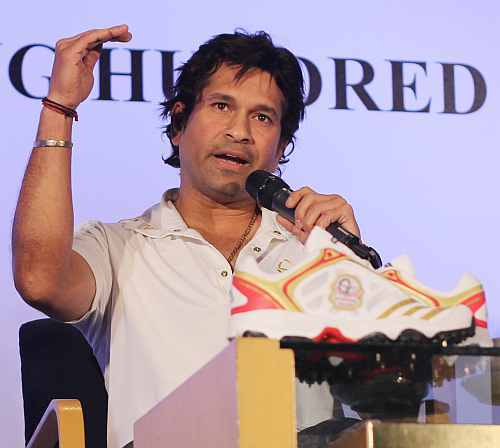 On life after cricket, Tendulkar said he has not given a thought to it, "See, when the time comes, I will start thinking about it. I have never thought that way. Each person thinks differently. "There were various opinions in 2006 whether I should continue or I should retire. All I can say is that each person thinks differently and you don't know what other person is thinking. Many guys don't know what I am thinking." Tendulkar said only he would decide his future on cricket and the decision would not be influenced by anyone, "When I feel like taking that decision I will take that. I don't want rest of the guys to take that decision for me."